Scroll Ice Cream is becoming a dessert bar and Adelaide Food Central was invited to sample their new dine-in menu. The concept of Scroll Ice Cream originates from Thailand and is a milk-based mixture placed on a teppanyaki style cold plate to form a rolled up ice cream. Owners Jenny and Danny have decided to expand their eatery by creating some delicious desserts to serve to their customers. Their new menu will feature not only some unique desserts but also hot coffee and tea, milkshakes and scroll affogatos. 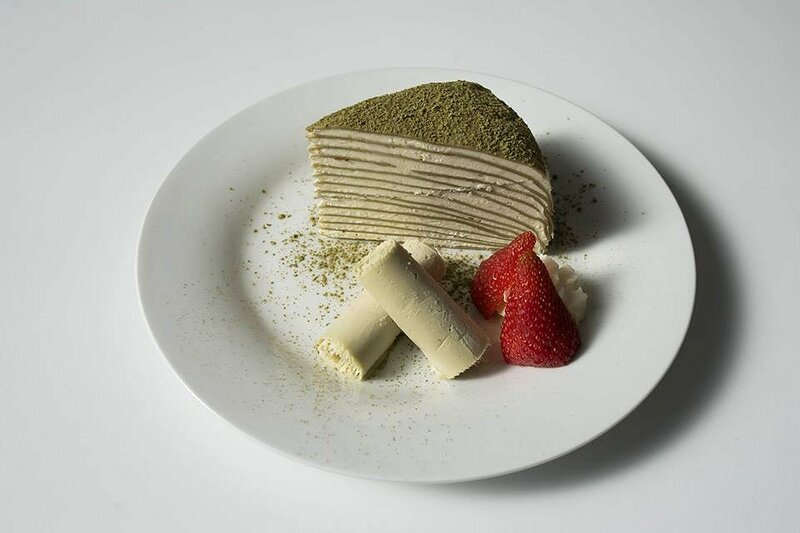 New to the menu are Crepe Cakes – thin delicate chocolate base crepes layered with cream offered in 3 flavours; Nutella, Matcha and Cookies and Cream. 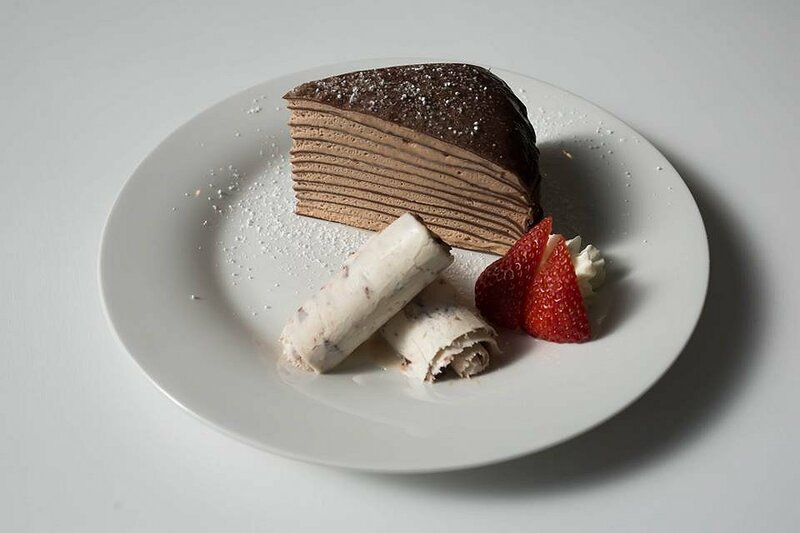 The cakes are made from Chantilly cream, making the texture of the cake soft, rich and creamy. The Matcha Cake was personally my favourite as you could taste the subtle green tea blend, but was not too overpowering. In my experience, Matcha can sometimes be too bitter, but there was a perfect amount of sugar added to balance the flavours out. This cake was served with a matcha scroll, which, much like the cake, had a subtle and fresh green tea flavour. Both the Nutella, and Cookies and Cream were fairly similar flavours, chocolatey and delicious. 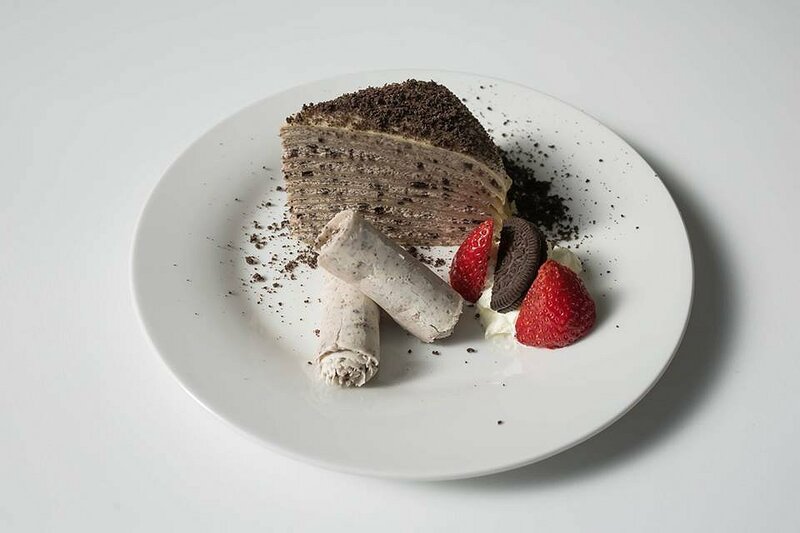 The Oreo cookies were crumbled throughout and added a nice textural element to the dish. Each cake is served with their corresponding scroll flavour. My favourite scroll was the Nutella, as there were thick , gooey globs throughout. 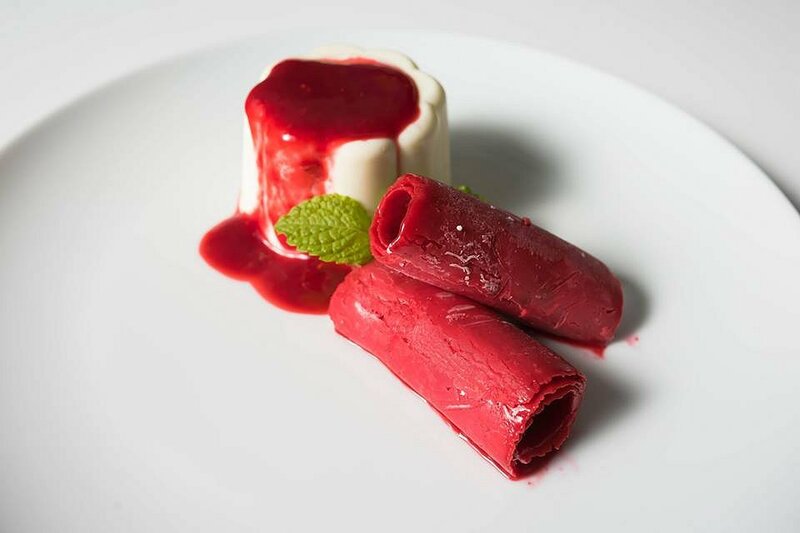 The Panna Cotta made with Adelaide’s Fleurieu milk, cream and fresh vanilla beans, was served with raspberry coulis and 2 raspberry scrolls. The highlight of this dish was the creamy consistency and the theatrical wobble that accompanied it. It complements the sharp zingy freshness of the raspberry scrolls. 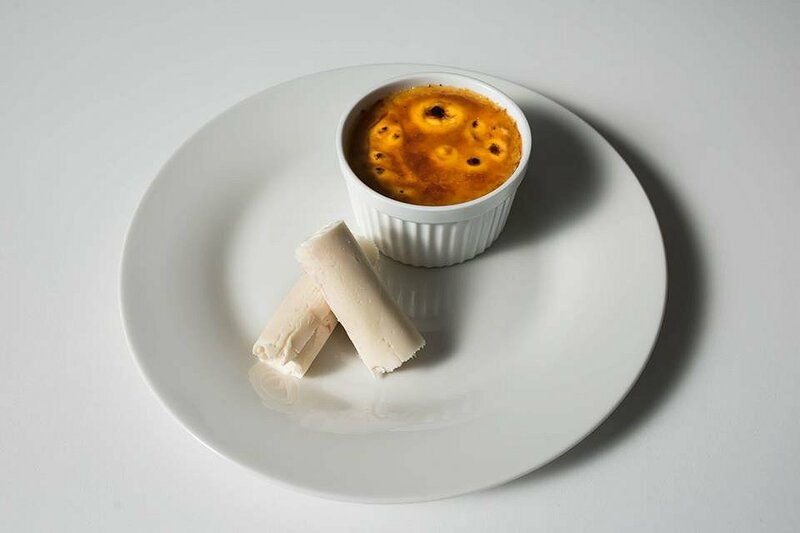 The Crème Brulee was made with the same local produce having a similar consistency to the Panna Cotta, but featuring a crunchy caramelised toffee flavoured topping. The vanilla scrolls were a suitable accompaniment. 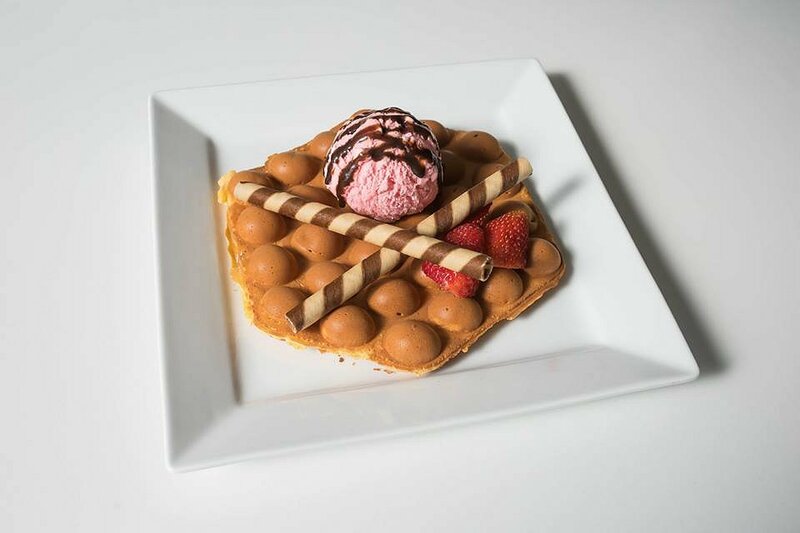 The Hong Kong Egg Waffles served with your choice of scooped ice cream, strawberry, chocolate or vanilla, was topped with an abundance of strawberries, Pokeys and lashings of chocolate sauce. Crispy on the outside, light and fluffy on the inside, this was an interesting revamp of a traditional waffle. The ‘wancake’ (waffle-pancake hybrid) was not too sweet, yet flavoursome enough to make it more than enjoyable. The accompaniment of strawberries and ice cream added another tasty element. Scroll Ice Cream is open Monday to Thursday 1pm to 10pm, Friday and Saturday 1pm-11pm and Sunday 1pm until 10pm. We would love to thank Danny and Jenny for having us along to sample their new wonderful dessert menu.